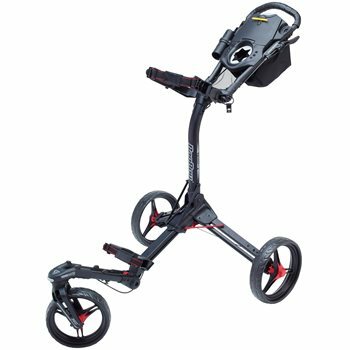 A little more expensive than some of it's competitors, but have been rolling this cart for several months and love the swivel wheel. The console is perfect as it houses my water bottle (21oz hydroflask) my rangefinder, a couple of extra balls and has room for a few other items as well. Very nice push cart. The tri swivel cart rolls very smoothly with little effort. Bag stands up more erect than on other push carts that I have used which makes it easier to pull the clubs out of the bag.